Hi, didnt know where to post this, but a regular ponzi pimp is yet again promoting another scam. Dascoin now! Della Cate, ribshaw, Bestbud and 1 others like this. there are so many tasteless jokes that can be written off that name. "DasCoin is the latest MLM cryptocurrency to receive a securities fraud cease and desist. As part of Operation Cryptosweep, the British Columbia Securities Commission issued DasCoin with a cease and desist notice." Soapboxmom, Della Cate and ribshaw like this. "The price of Dascoin is roundabout 6 or seven cents at the moment"
"I wanted to express my own personal view and opinion on the price of Dascoin where it's at today. 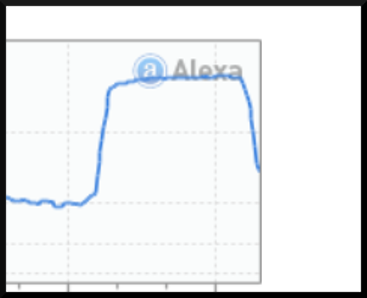 I hopefully am going to offer you some valid and worthwhile advice and opinion"
"The number one thing people are getting a little bit frustrated and worked up about is the current price of Dascoin"
"Now, before Dascoin went on to the public exchanges a few weeks ago, if you were to trade Dascoin inside the internal exchange in the Webwallet exchange, then Dascoin would have been trading somewhere in the region of around about fifty cents per coin and I was actually buying up a lot of Dascoins at fifty cents"
"Obviously since we've gone on to the public exchange a lot of people who held coins, maybe thousands of coins, people that came in and got involved from the very beginning, people that bought bigger licenses, they had coins inside of their Webwallet, to actually spend. A lot of people had actually decided to sell their Dascoins and take some profits straight away"
"There was obviously a lot of sells so the price of Dascoin because of that has clearly gone down"
"How does it all affect people now, today, who are holding Dascoins and see the current price at around six, seven, eight cents a coin?" "My view, and it has always been my view actually, is that the price of Dascoin today is completely irrelevant. It doesn't matter, ok? The only way that you can possibly lose your Dascoin is if you sell your Dascoin"
"Clearly, right now, Dascoin has no intrinsic value"
"We'll have to wait and see; we'll have to be patient. Let's just be excited for what we've got coming because I think this is going to be an amazing opportunity for everyone. If you haven't been buying Dascoin at these ridiculously cheap prices then I suggest you do"
1. It's not fair to question the referral fees he makes selling you this crap as you lose money. He earns it. 2. 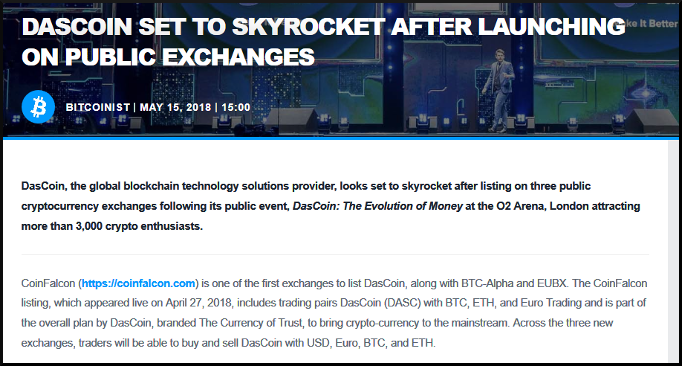 Dascoins are a screaming bargain because the company is getting ready to release a Daspay app. 3. He has been buying, buying, buying all the way down to six cents and thinks you should be buying too. EagleOne, ribshaw, Bestbud and 1 others like this. The only way that you can possibly lose your Dascoin is if you sell your Dascoin"
Or, by holding on to them while the value continues to drop as it has been. EagleOne, shipdit, Bestbud and 1 others like this. EagleOne, shipdit, ribshaw and 2 others like this. Soapboxmom, shipdit, Della Cate and 1 others like this. Why way back in 2017 a large number of the major OneCoin MLM pimps jumped into this proclaiming it was the new wave of crypto-currency, better than OneCoin. 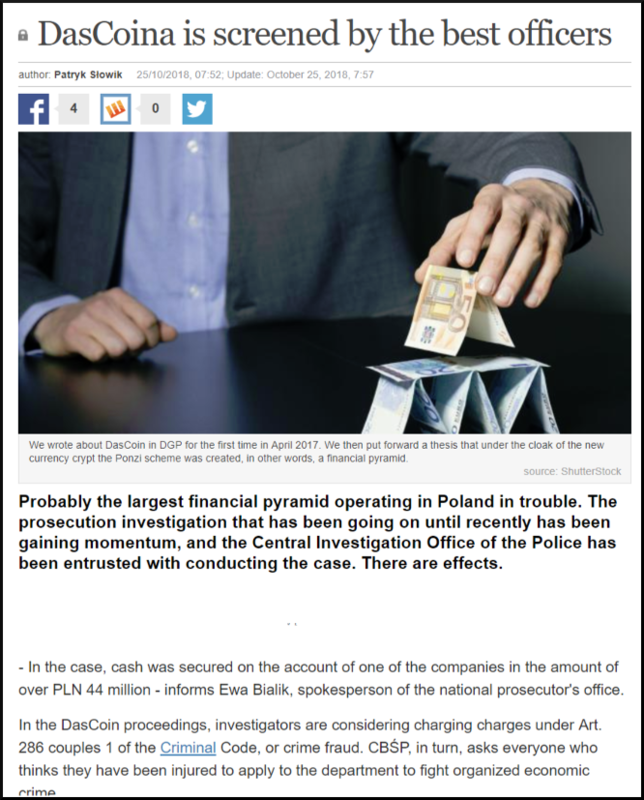 So how could so many leaders from OneCoin that were geniuses about crypto-currency fall for this Ponzi? The answer is this is what Ponzi pimps do. They have no clue what they are pimping is real or not. They just lie and claim it is to steal as much money from the gullible public as they possibly can before the program collapses. .